While GCP offers best in class platform security, GCP also partners with a number of security- centric firms. Learn more about each partner by exploring the GCP validated solutions below. Barracuda is the #1 firewall provider for public cloud deployments. The Barracuda NextGen Firewall integrates a comprehensive set of next-generation firewall technologies, including comprehensive application control, availability, and QoS features. The Fortinet Security Fabric delivers integrated next-generation firewall and other network security without compromise, to address the most critical security challenges in networked, application, cloud and mobile environments. Palo Alto Networks is a global cybersecurity leader. Their pioneering Security Operating Platform emboldens their digital transformation with continuous innovation that seizes the latest breakthroughs in security, automation, and analytics. By delivering a true platform and empowering a growing ecosystem of change-makers, they provide highly effective and innovative cybersecurity across clouds, networks, and mobile devices. Alert Logic Security-as-a-Service solution protects cloud, hybrid, and on-premises datacenter infrastructure, delivering deep insight and continuous protection for over 3,000 customers worldwide. Cloudflare accelerates and protects millions of internet websites, applications, and APIs. Internet properties powered by Cloudflare have all traffic routed through its intelligent global anycast network, which helps boost performance, and prevent attacks. 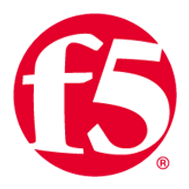 F5 Networks’ advanced web application firewall provides comprehensive protection against sophisticated attack vectors including L7 DDoS attacks, OWASP Top 10 threats and malicious bot attacks; ensuring your mission-critical workloads remain available to users, and secured against the most complex and persistent cyber-attacks. Imperva is a leading provider of cyber security solutions. The company’s Incapsula, SecureSphere, CounterBreach, and Camouflage product lines enable discovery of assets and risks, and protect information in the cloud and on-premises. The NGINX Web Application Firewall (WAF) protects applications against sophisticated Layer 7 attacks that might otherwise lead to systems being taken over by attackers, loss of sensitive data, and downtime.The NGINX WAF is built on top of NGINX Plus, a high performance, flexible, scaleable and secure load balancer, web accelerator and web server. The Qualys Cloud Platform helps businesses simplify security operations and lower the cost of compliance and automating the full spectrum of auditing, compliance and protection for IT systems and web applications. Reblaze - a cloud-based web security platform which provides a complete and comprehensive protection shield for websites and web services. We offer an all-in-one solution that includes IPS/WAF, DoS/DDoS protection, bot detection and more. Netskope, the leading cloud access security broker (CASB), helps enterprises find, understand and secure sanctioned and unsanctioned cloud apps, with the deepest visibility and control, the most advanced threat protection and data loss prevention. The Symantec CloudSOC platform enables companies to confidently leverage cloud applications and services while staying safe, secure and compliant. It provides visibility into shadow IT, governance over data in cloud apps, and protection against threats targeting cloud accounts. CloudSOC takes a data science approach to security using machine learning at its core and leveraging native SaaS APIs, real-time traffic processing and other data sources to provide insightful visualization and intuitive controls. CloudSOC offers a cloud audit for Shadow IT plus granular transaction visibility, user behavior analytics (UBA), threat detection, data governance and DLP, security controls and post-incident forensic analysis for sanctioned and un-sanctioned cloud apps. Zscaler is an exciting, high-growth technology company. As the most innovative firm in the $35 billion security market, the company is focused on bringing cloud computing to internet security. Zscaler protects more than 15 million users worldwide. Cisco Stealthwatch is the most comprehensive visibility and network traffic analytics solution that uses enterprise telemetry from the existing network infrastructure. A single, agentless solution allows visibility across the extended network, including endpoints, branch, data center, and cloud. 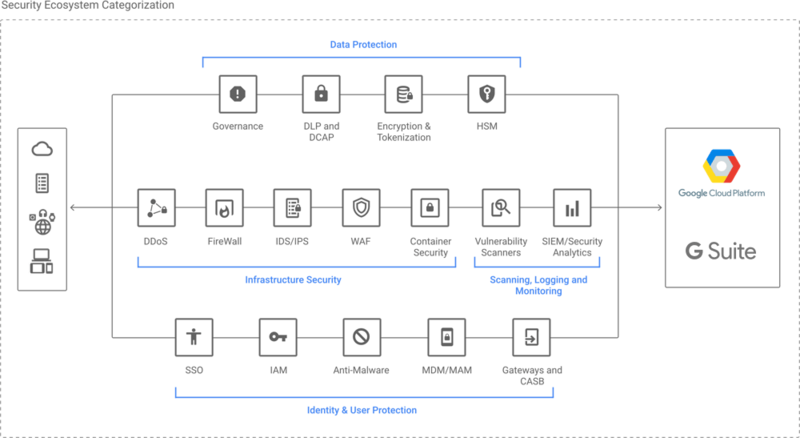 With Encrypted Traffic Analytics, Cisco Stealthwatch is the only product that can detect malware in encrypted traffic and ensure policy compliance, without decryption. Symantec Cloud Workload Protection provides strong security for servers with application protection, intrusion detection/prevention and real-time file integrity monitoring (RT-FIM). In addition, Docker security enables visibility, monitoring and protection of containers without requiring footprint in the container. Cloud Workload Protection also enables homogenous security in heterogeneous data center with security monitoring and security controls enforcement protecting applications from unknown exploits. Trend Micro Inc., a global leader in cyber security solutions, makes the world safe for exchanging digital information. Our innovative solutions provide layered security for data centers, cloud environments,networks, and endpoints. Fastly’s Cloud Accelerator pairs Google’s best-in-class infrastructure with Fastly’s real-time content delivery network to provide businesses with faster content delivery, optimized backend workload, and unparalleled performance at the edge. Aqua Security enables the world’s leading enterprises to secure their container and cloud-native applications from development to production, accelerating application deployment and bridging the gap between DevOps and IT security. Aqua’s Container Security Platform provides full visibility into container activity, allowing organizations to detect and prevent suspicious activity and attacks in real time. Integrated with container lifecycle and orchestration tools, the Aqua platform provides transparent, automated security while helping to enforce policy and simplify regulatory compliance. Black Duck is designed to secure applications and containers. Our technologies identify open source components and known security vulnerabilities, compliance issues and code-quality risks. Black Duck integrates with Google Cloud Build, Container Registry and Kubernetes Engine to provide runtime protection, and policy enforcement. StackRox transforms enterprise cybersecurity with the industry’s first container security platform that adapts to changing threats, protecting organizations throughout the journey from containers to web-scale microservices. Trusted by 25% of the Fortune 100, Twistlock is the most complete, automated and scalable cloud native cybersecurity platform. From precise, actionable vulnerability management to automatically deployed runtime protection and firewalls, Twistlock protects applications across the development lifecycle and into production. Purpose built for containers, serverless, and other leading technologies - Twistlock gives developers the speed they want, and CISOs the control they need. Protect your data from unauthorized access, as well as internal and external threats through encryption, key management, and policy-driven Data Loss Prevention controls. HashiCorp delivers pragmatic solutions that maximize developer and operator agility. It's ATLAS product, which leverages the Vagrant, Packer, Terraform and Consul projects, enables building apps that are codified, automated, scalable and secure. Ionic’s high-assurance data protection and control platform has been designed to be globally available, distributed, and resilient. Platform services include advanced data visibility, control, protection and insider threat detection/prevention. Ionic Protect for Cloud Storage solution enables developers to simply and seamlessly use their own encryption keys. Vormetric is the industry leader in enterprise and service provider data security solutions that span physical, virtual and cloud environments. ManagedMethods’ Cloud Access Monitor is a cloud access security broker (CASB) solution that provides visibility into how data is stored, accessed, and shared in G Suite and protects Gmail from malware, objectionable content, and data loss. Splunk is a software platform for real-time Operational Intelligence. Splunk’s SIEM capabilities can help Google Cloud Platform’s enterprise customers run even more securely and detect potentially concerning issues before they become problems. Tenable Network Security transforms security technology for the business needs of tomorrow through comprehensive solutions that provide continuous visibility and critical context, enabling decisive actions to protect your organization. Organizations worldwide use Black Duck’s industry-leading products to automate the process of securing and managing open source software, eliminating the pain related to security vulnerabilities, compliance and operational risk. Brinqa is a leading provider of unified risk management and security analytics – enabling stakeholders, governance organizations, and infrastructure and security teams to effectively manage technology risk at the speed of business. Cavirin provides automated risk assessments and continuous compliance of security configuration risks to prioritize remediation actions, minimize attack surface, and manage security posture in on-prem, cloud, containers, and hybrid IT environments. Dome9 offers verifiable infrastructure security and compliance across all public clouds. The Dome9 Arc SaaS platform leverages native security capabilities and cloud-agnostic orchestration to deliver network security, IAM protection and compliance. MetricStream offers market leading solutions in enterprise and cloud applications for Governance, Risk, Compliance (GRC) and Quality Management, makes GRC simple. RedLock enables effective threat defense across Google Cloud environments. The RedLock Cloud 360 platform takes a new AI-driven approach that correlates disparate security data sets to provide comprehensive visibility, detect threats, and enable rapid response across fragmented cloud environments.